"I feel such a creative force in me. I am doing my very best to make every effort because I am longing so much to make beautiful things. But beautiful things mean painstaking work, disappointment, and perseverance." and persevering in photography just to make beautiful things? a challenge to all of us artists out there. 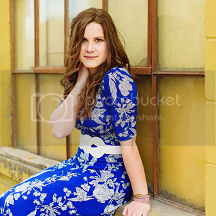 from a recent senior session..more soon. ooohhh... I love this, Hannah! That quote is so good, and so true! We photographers have this deep-down desire to create beautiful things - but that doesn't mean it's never hard work. =) Thanks for sharing!